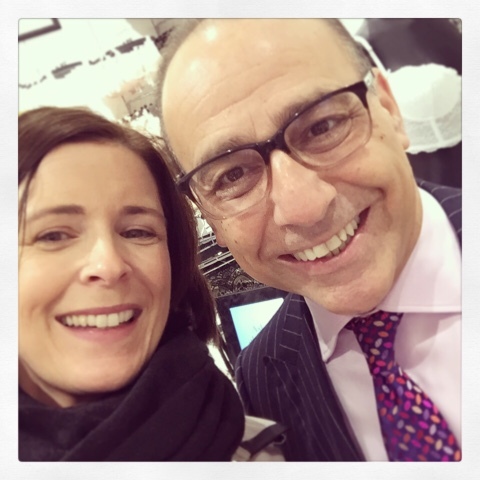 First up - knickers and bras with the opening of Theo Paphitis' new Boux (pronounced 'boo') Avenue store in Belfast. closely followed by getting a selfie with the Dragon himself. and there's much more to see than underwear (swimwear, nightwear, cosmetics and candles, etc). After securing my selfie, it was into the luxurious fitting room (with dimmed lights) for my fitting where I was pleased to find out I was actually already wearing the right size bra. But I still decided to treat myself to an Ultra Boost bra and some matching briefs as I loved the fit of this 2 sizes bigger bra (which really does do what it says on the tin, in case you're wondering!) Luckily, I managed to get through the till before the official opening and the bedlam that followed. 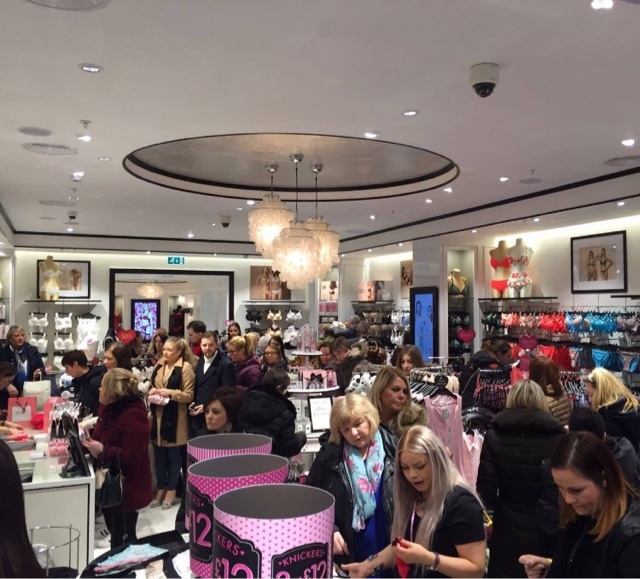 I had no idea how popular this shop is - it was instantly filled with women (and a few brave men). 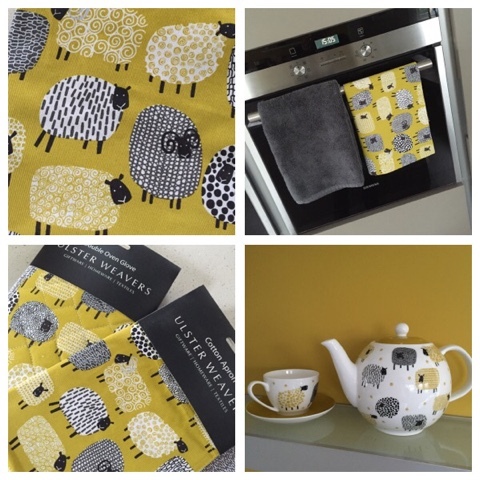 Moving onto the randomness that is sheep and I was fortunate earlier this month to be sent some gorgeous pieces from Ulster Weavers latest kitchen range. Ulster Weavers are a great local success story, a company that's been on the go since 1880 and has a Royal warrant, supplying kitchen textiles to Queen Elizabeth II for over 20 years. They're a family owned company that has adapted for the modern market perfectly - great to see and proof it can be done. 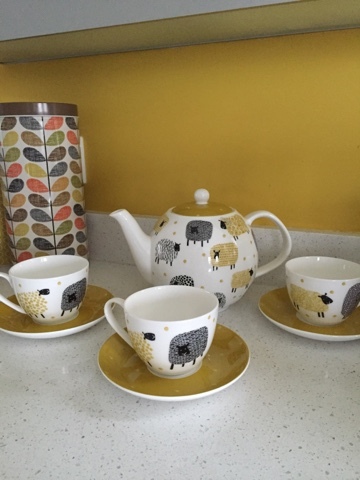 and a fab teapot and cup set. 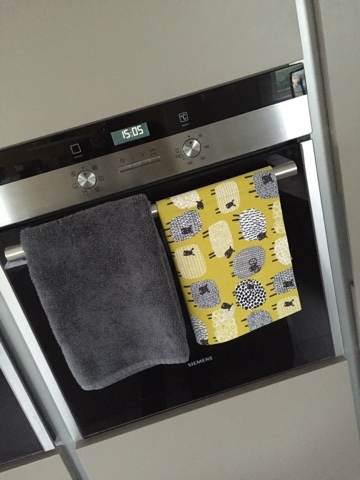 It looks amazing in the kitchen - I've already bought some more of the tea towels as I've struggled to match the yellow up until now. 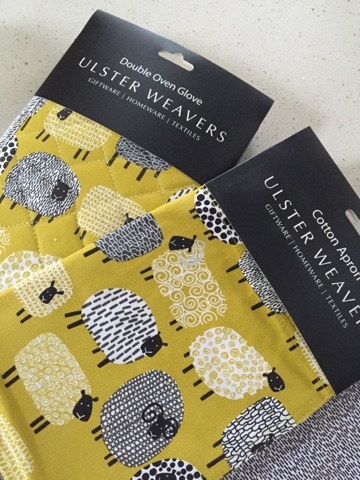 It's worth checking out the new Ulster Weavers ranges for SS16. There are some gorgeous new designs that will give your kitchen a little summer boost of colour, including an amazing collaboration with Designers Guild. 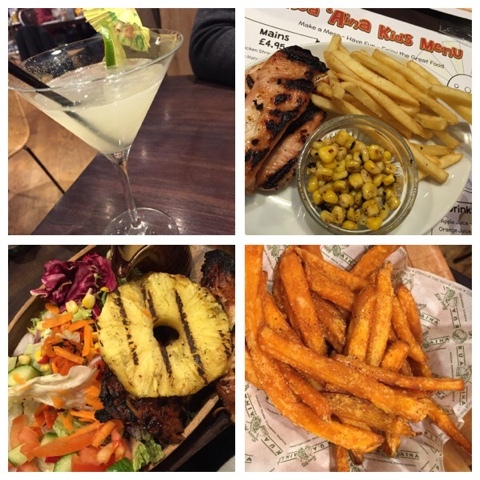 Finishing this post with Kua 'Aina - the new Hawaiian inspired restaurant that's just opened in Belfast's Victoria Square. 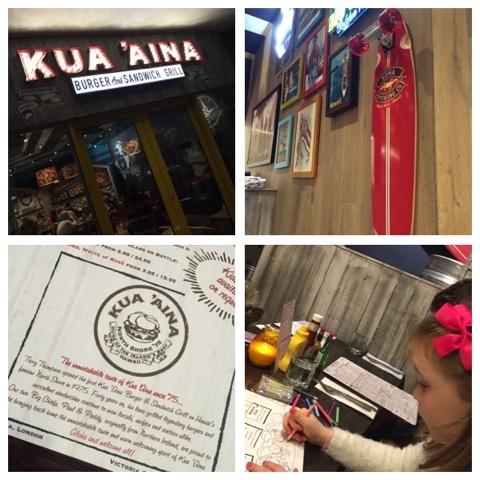 It's a European off-shoot of the original Kua 'Aina restaurant in Hawaii, which was brought to London by a couple of Northern Ireland locals. They have chosen Belfast as the base for their third outlet and that alone warrants a visit as typically, NI is usually last in the pecking order for global restaurant chains. It's a good option for kids as it's noisy and relaxed and there is colouring in provided immediately on arrival. Service was fantastic - a bit of a wait for the mains but that was more because the place was so busy rather than any fault of the staff who were incredibly attentive at all times and engaged nicely with the kids. Normal service resumes with my next post - hope you enjoyed this off piste action! Being from Belfast it's great to read about some new places locally! Its always good to learn tips like you share for blog posting. As I just started posting comments accounting statement of purpose for blog and facing problem of lots of rejections. I think your suggestion would be helpful for me. I will let you know if its work for me too.